Peter E. Randall Publisher, 9781931807913, 328pp. 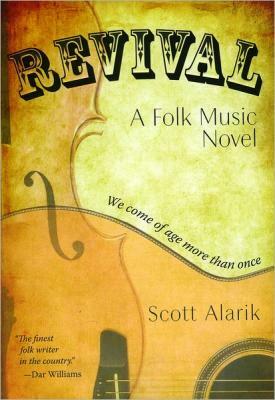 Revival is a novel that celebrates America's renewed passion for folk music and singer-songwriters. Charismatic songwriter Nathan Warren lost his chance at stardom years ago. Kit Palmer is young, beautiful, and explosively gifted, but can she keep from falling apart on stage? They travel the Boston folk scene as lovers and artists, through basement coffeehouses and funky jams, rowdy open mikes and grand concert halls, seeking stardom for one and redemption for the other. Scott Alarik covered folk music in the Boston Globe for over 20 years. Pete Seeger calls him one of the best writers in America, and the Library Journal called his first book, Deep Community: Adventures in the Modern Folk Underground, an essential primer of the continuing folk revival. Alarik is also a singer-songwriter who toured the national folk circuit and performed regularly on A Prairie Home Companion."